Kolkata, March 21: The Bharatiya Janata Party on Thursday released their much-awaited list of 184 candidates for the upcoming Lok Sabha Elections 2019. In the list, the party announced 28 candidates for West Bengal state and gave preference to the winning candidates. 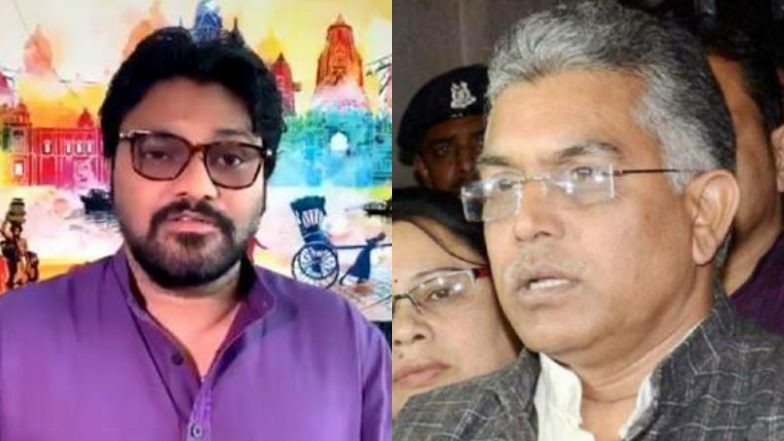 In the first list, the party names Union Minister Babul Supriyo from Asansol seat, while fielded state BJP president Dilip Ghosh from Medinipur seat. The saffron party also gave the ticket to Chandra Kumar Bose from Kolkata Dakshin constituency and fielded Prof Anupam Hazra from the left bastion Jadavpur. BJP First List of Candidates For Lok Sabha Elections 2019 Repeats Union Ministers Smriti Irani, Anantkumar Hegde and Others. Among the other major decisions taken by the BJP include fielding TMC rebel Arjun Singh from Barrackpur, Sayantan Basu from Basirhat, Rahul Sinha from Kolkata Uttar, Dr Kunar Hembram from Jhargram and Locket Chatterjee from Hoogly. In another decision, Union Minister Jai Prakash Nadda announced that Prime Minister Narendra Modi would contest from Varanasi, while party president Amit Shah would fight from Gandhinagar seat. The Lok Sabha Elections 2019 would be conducted seven phases, and West Bengal will have all the seven phases beginning from April 11. The results would be announced on May 23.